I love comics. I love fan comics. I love video games. I love video game related fan comics. 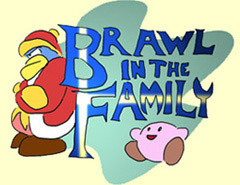 Thus, it’s only natural that I love Brawl in the Family, right? I’ve been reading these comics for a while now, so upon the release of this video I felt the need to share. It is Brawl in the Family’s 400th comic, The History of Nintendo! Drawn, sung, and written by Matthew Taranto. It mostly follows US releases, but it’s a fun video that many will think back on for. I like the ending when he speeds up and says the titles of many major games. I even included the lyrics if you want to sing along. It’s a nerdy song. Just sit back and relax, my friend. Today’s lesson won’t take too long. It takes the form of this nerdy song. Before the accolades and awards. To discover just what sells. And love testers and love hotels. Like the Game & Watch and Color TV. 1985: Future stars like Link and Samus, and portly plumbers hit the scene. ‘89: All our mothers took our Game Boys to play Tetris on that tiny screen. ‘91: Super Mario World taught us we could fly while riding dinosaurs. ‘94: Virtual Boy had us seeing red, returning systems to their stores. ‘98: Pokémania caught our hearts and dollars too. 2001: The GBA and GameCube lost some marketshare that day. But we still loved to play Smash Bros. Melee…!